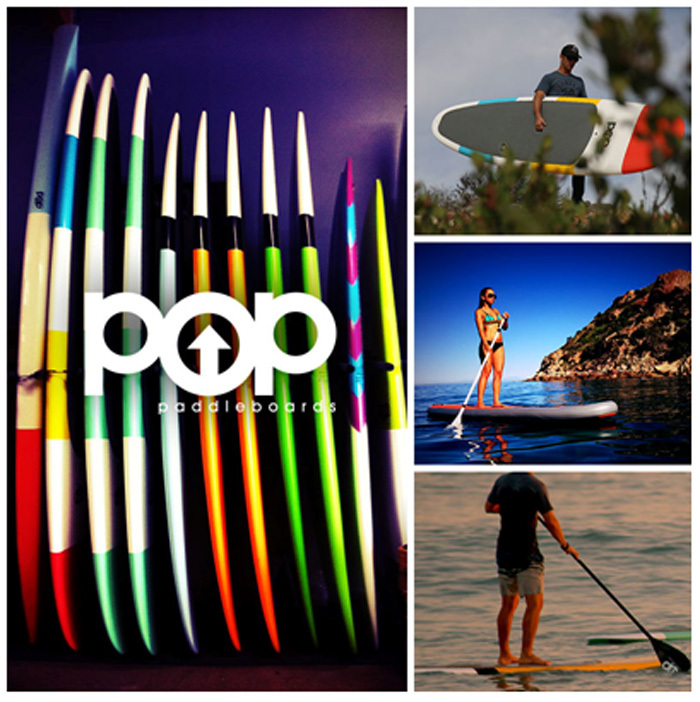 POP Paddleboards, the ‘globally local’ innovator of bold, advanced stand up paddleboards with fresh inventions, vibrant style and mass appeal, is excited to announce the official Canadian launch of its entire product line. Following its undeniable popularity all over the U.S., POP is prepared to take its vision in capturing the coveted Southern California lifestyle and creating the latest and greatest in paddleboard technology to water sports enthusiasts all over Canada. With superior quality and craftsmanship, a myriad of styles to choose from and premier customer service, POP Paddleboards aims to bring paddleboards to the masses, both coastal and landlocked, so everyone can have a taste of that seaside culture. POP Paddleboards is rapidly moving forward and increasing their presence all over Canada as they open new doors with retailers and share their story of the POP lifestyle, inspiring water lovers to explore and create their own memorable moments. Their ability to offer vintage, fun styles paired with high-quality materials and unexpected innovations really showcases POP’s message to deliver only the best in the paddleboard industry. With a myriad of boards each with their own personalities, POP has a paddleboard to fit every taste and need – soft top boards for riders beginning to take on the sport, surf inspired boards for those ready to take on the larger waves, touring boards for those with a competitive spirit and hydrodynamic boards that maximize every stroke taken or for downward/distance sessions. POP’s newest addition to the family, inflatable boards, are also available for thrill seekers who want to paddleboard in a moment’s notice. Using only the best materials POP Paddleboards has engineered quality paddleboards, complete with advanced technologies that combine lasting performance and unmatchable style. With its new Canadian availability, POP is fully prepared in creating the ultimate POP moment for adventurers everywhere.